Hospitals and Nursing Homes Testing New Methods To Prevent Drug-Resistant Infections - The Law Office of Robert H. Gregory, P.C. A recent article in Kaiser Health News described an ongoing study being conducted in hospitals and nursing homes in Illinois and California exploring a different and relatively simple method to reduce antibiotic-resistant superbugs that kill thousands of people each year. These facilities are washing patients with an antimicrobial soap called chlorhexidine. Approximately 2 million people in the United States are infected with some variety of antibiotic-resistant bacteria each year, with about 23,000 deaths stemming from these infections. The presence of these bacteria in hospitals and nursing homes is particularly hazardous since many patients are in a compromised health state to begin with. It is estimated that as many as 15 percent of hospital patients and 65 percent of nursing home residents harbor drug-resistant organisms. Although not all of these individuals will develop life-threatening infections as a result of harboring these organisms, the incidence rate is nevertheless alarming. 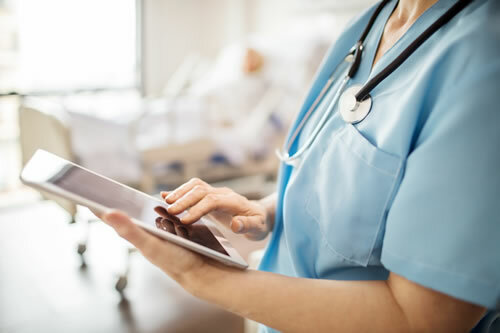 Among the most common bacteria in healthcare facilities are methicillin-resistant Staphylococcus aureus (MRSA), E.Coli and Klebsiella pneumoniae. All of these bacteria have the capacity to become resistant to the last-resort antibiotics called carbapenems. Thus far, the study has shown that bathing patients using the antimicrobial soap chlohexidine is effective in significant reductions of infection within the facilities where it is being tested. While no conclusive findings have yet been published about the success of this study, it is an important step in the fight to control bacterial infections in hospitals and more importantly nursing homes, where according to a Kaiser Health News analysis, nearly 75 per cent of nursing homes in the United States received citations for infection-control problems over a four-year period.